During a news conference Friday, Gov. 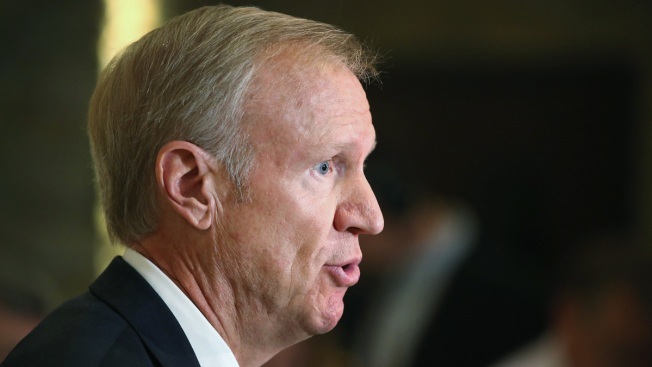 Bruce Rauner said he supports building the Lucas Museum of Narrative Art in its original location between Soldier Field and McCormick Place. George Lucas and his wife Mellody Hobson have pledged to give $743 million to fund the project. The governor was clearly opposed to the more-recent plan for the museum, which calls for the demolition of McCormick Place’s Lakeside Center and over $1 billion in borrowing. “I hope the mayor stays strong. I hope the Lucas family stays persistent and Melody stays the course and I believe they’ll win in court eventually,” he added. The construction of the museum has been held up by a lawsuit filed by Friends of the Parks. The group’s main argument is that the museum’s 99-year lease wouldn’t benefit the public and would promote private and commercial interests. The group also claims the museum would detract from the city’s lakefront and add to traffic woes in the area. Efforts to keep the museum in Chicago may be in jeopardy as the project’s organizers have reportedly resumed talks with officials in the filmmaker’s hometown of San Francisco. “The museum will go elsewhere if the misguided lawsuit filed by Friends of The Parks is not quickly settled or dismissed,” A spokeswoman for Mayor Rahm Emanuel said in a statement Sunday.